2 Kenya Tree Coral Capnella sp. Neon Green Button Polyps Protopalythoa sp. 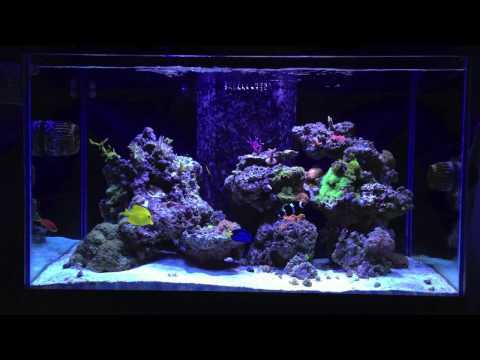 2% automatic daily water change. 38.4% total water change in April. Spotted Berghia again tonight in main display, same side (top left) but also spotted a different and much larger one in the refugium. Spotted one Berghia Nudibranch today in the display refugium. Skimmer has been running like complete junk for the past few days, it's not visibly dirty but going to take it out and do an acid bath today to get it going proper again. Raised the lights up 3-4 inches, benefit is a better spread, and I think I'm still giving the tank too much light as it was.